The ‘MUR‘ is a space located in Oberkampf district (Paris XI) which was created ten years ago. 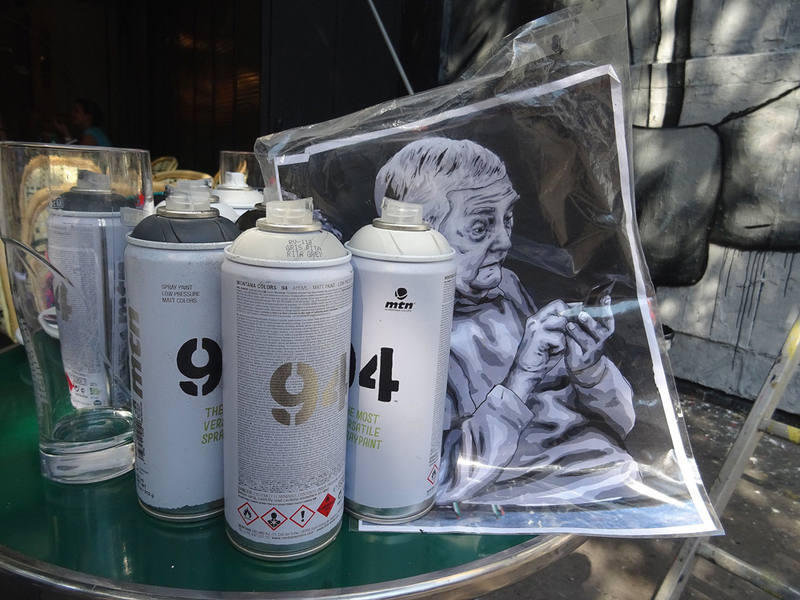 Every two weeks, a local or international artist is invited to paint it. 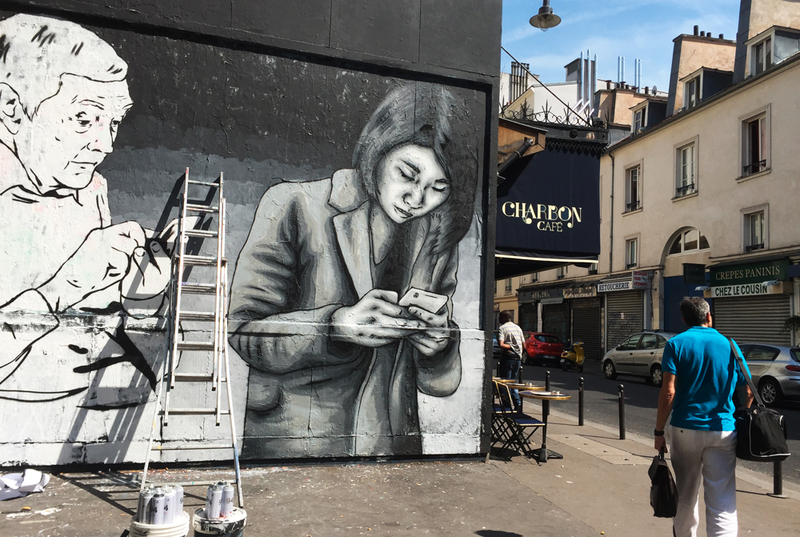 It allows artists to showcase their work in a prime location as well as the Parisian audience to discover new names and works from the worldwide urban art scene. I was the 216th artist to perform on the space. The mural took 3 days to paint, right when the heatwave struck! 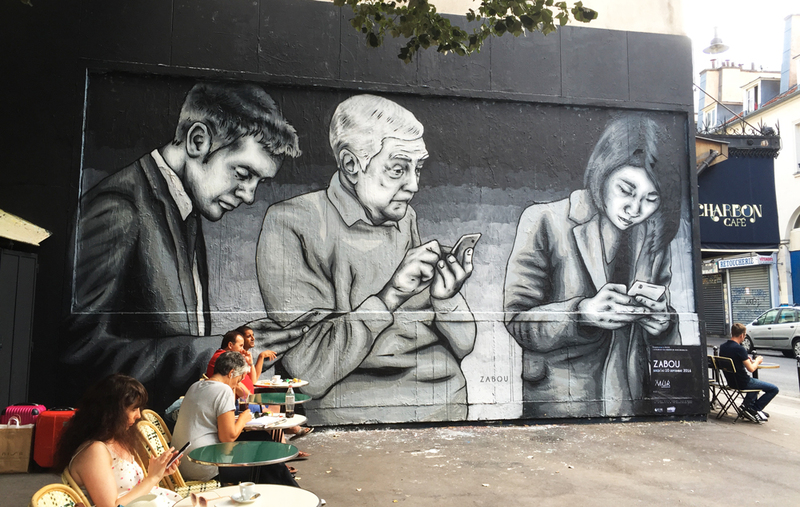 My design features three characters: an elderly man surrounded by a middle-aged man and woman, all of them looking down at the smartphone they’re holding. It raises the social issue surrounding smartphones and other devices, which have completely taken over our lives for the last few years. 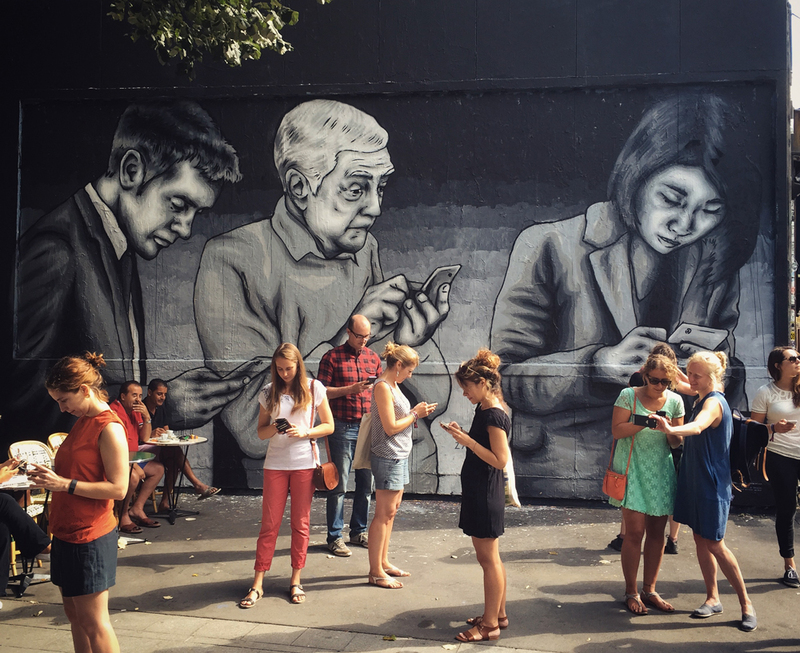 We interact less with each other in person while isolating ourselves in the digital world.